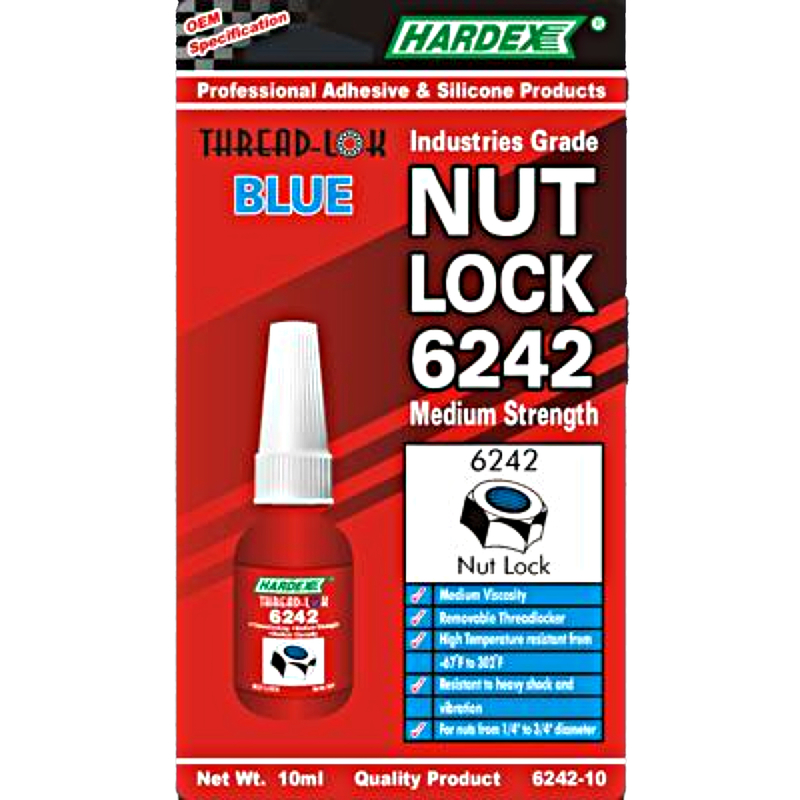 Threadlock 6242 is a removable anaerobic thixotropic thread locker of medium strength and medium viscosity. It is designed for general fastening application to metric or conventional sizes of nuts and bolts from 1/4'' to 3/4'' diameter. It does not migrate or drip after assembly due to the specially designed lubricating properties. Its medium strength permits disassembly for service and repair. Used on gear box, drive shaft, hydraulic system bolts, low strength bearing mounts, counter sunk screw, conveyor or rollerbolts and construction equipment.